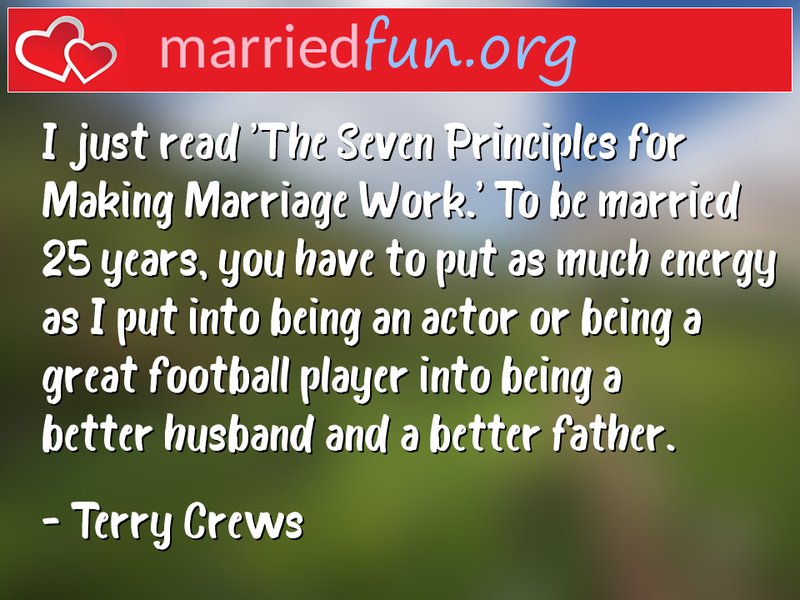 Marriage Quote - I just read 'The Seven Principles for Making Marriage ... - Married Fun! I just read 'The Seven Principles for Making Marriage Work.' To be married 25 years, you have to put as much energy as I put into being an actor or being a great football player into being a better husband and a better father.